When a brand has successfully created a piece of branded content that has moved the audience and pulled them into the story, it is NOT the end of Story Inception… in fact, it is barely just the beginning. Resting on your laurels at this point is, in my opinion, the most common (but unknown) mistake made by brands. A chapter may have been closed. But a chapter does not make a story. Neither does creating multiple unrelated chapters. Branding/Marketing departments have been structured and the staff trained to think in terms of “campaigns”. Corporate reporting requires budgets to be tied to “projects” (often centring around product launches or promotional activities) with specific KPIs. Although the advent of “omni-channel marketing” and “transmedia marketing” has begun to force many to think beyond just a single commercial spot, the usual approach to milk the concepts and extend them to cover all the audience touch-points is still fundamentally a “campaign” approach. What is a brand’s Story World? The idea of building a “story world” is to design the setting for our story to take place in. Advertising via a print ad or a 30-second TV spot has done well zooming in on a particular area of our lives to isolate a frustration, fear, want or aspiration and creating a story around it. But as we move into 2-minute (or more) videos, we need a more complete storyline with greater details into the story world. Also, audience knows that there are more obstacles in life than the singular “monster” to be overcome as depicted in the campaign. By expanding the story world, we can introduce a “Quest” that involves a longer journey, more obstacles and more characters. This will provide sustained engagement for the audience. What is a brand’s “greater” Story World? Since we have zoomed in to highlight an issue/problem in the individual spot, we now need to zoom out. Theodore Levitt coined the term “Marketing Myopia” to describe how businesses had focused too narrowly at the product. The building of a brand on the other hand, essentially provides the context or reason for the product to exist. To look at the brand is to zoom out and see the bigger “world” in which the product exists. 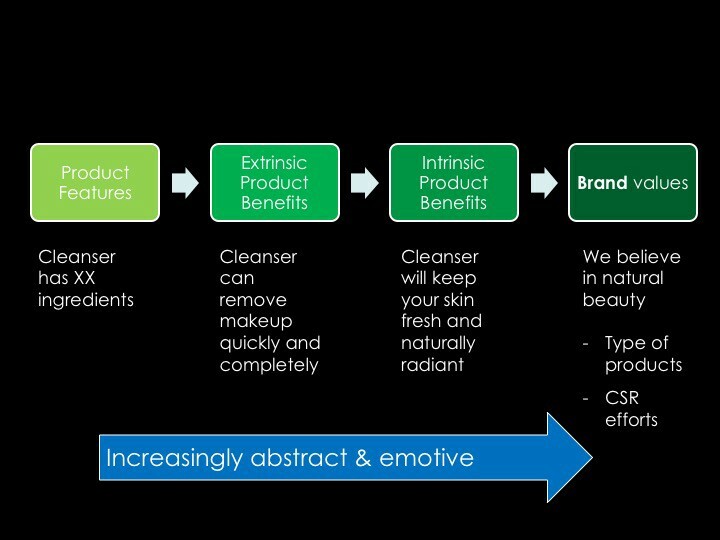 For example, a facial cleanser advertisement may focus on telling the audience about the special ingredients it contains. This is selling the “quarter inch drill”. To my surprise, there are still many of such advertisements (eg., the phone with better lens, the house with superb view etc). A better piece of content will look at how the product benefits the consumer. What’s the big deal over the special ingredients? It can remove makeup quickly and completely. And why is that important? It will keep your skin fresh and naturally radiant. A story of how this cleanser helped the character overcome the problem of having to appear in front of the dream guy with flawless skin would pull the target audience into it. But when we look at the brand values and purpose that believes in natural beauty, this opens up the story world to the quest for natural beauty and includes how to build confidence in women over their own looks. Successful content marketing requires a Content Compass that will constantly guide the content towards the same direction. 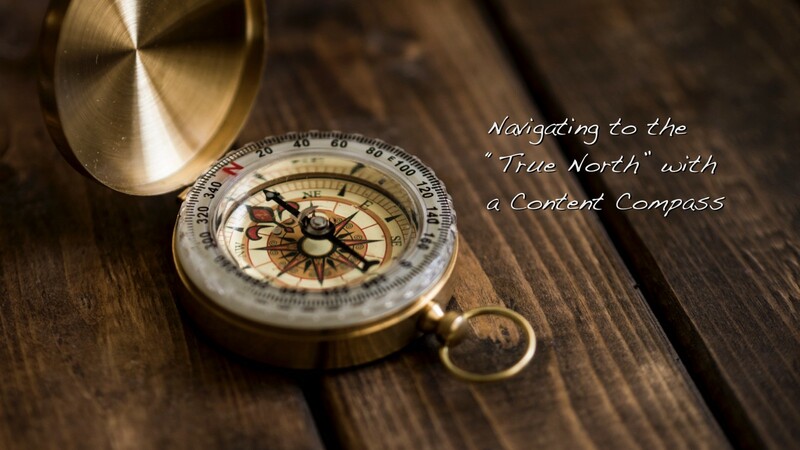 The “true north” on the Content Compass comes from the brand values and purpose. The brand purpose provides the Story World for the content to unfold without going off tangent. It is important to note that the Story World for a brand is not defined by geography. Instead, it is a world where characters (ie., the potential customers) share a common psychologically motivated quest. For example, Dove US created a story world around the misguided perception of beauty and the quest to redefine it (see Part 2 of this series on how they pull audience into their story). In Nielsen’s 2015 annual Global Corporate Sustainability Report, it is found that globally, 73% of surveyed millennials are willing to spend more on a product if it comes from a sustainable brand. Forbes added that “because advertising and marketing in the States appears to have reached a deafening roar in recent years, millennials also want companies to get serious about marketing in a socially responsible way.” Consumers do not buy products. They buy what the products can do for them. Beyond the benefits attributed to the products, they want to know that they are contributing to making a difference in this world even through their spending. This makes them feel empowered. In adapting to this shift, many brands have begun to work on their brand purpose. There are however, cases when over enthusiastic executives chose a “high calling” that is simply “out of their world” (pun intended). Even Pepsi has had their faux pas moments like the Kendall Jenner ad in 2017 (read about it in this AdAge article). Benjamin Blank, CEO and chief creative officer at Uproxx Media Group, was reported saying that Pepsi misfired by taking a “very broad-stroke approach as opposed to standing for something. It’s like standing for love or happiness, that’s not really a stance.” In fact, Pepsi’s issued apology states that “Pepsi was trying to project a global message of unity, peace and understanding.” Can such complex social issues be solved by sharing a can of Pepsi? The Content Compass is based on the brand’s values and purposes. These values and purposes answer the question of “WHY the brand is in business?” Coming up with an overly lofty purpose that has nothing to do with the business is like attaining world peace through Miss Universe pageants. Nice sounding but no one will take it seriously. The Story World that we build for our brands must be realistic and relatable. Finally, it is important to note that although we may wish to build our Story World based on our brand strategy and content execution, audience that are pulled into our story are all equipped (and eager!) in this digital age to create their own stories. As seen from the Pepsi case study, the trajectory of the resulting story can be very different from the brand’s intent. This is after all, the age of Story Co-creation (coming in the concluding Part 4 of this series). Content Strategist, Content Play — Helping to craft your stories to date and chart your stories to come.